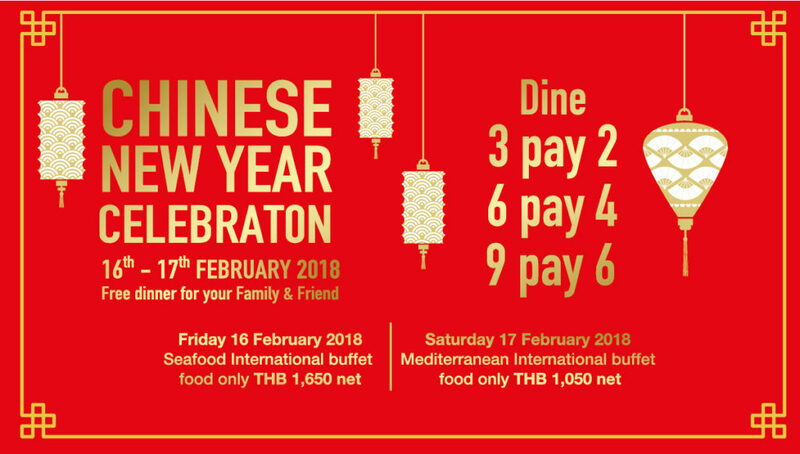 To celebrate Chinese New Year and Valentine’s Day, Chatrium Hotels & Residences proudly presents a delicious menu choice for both occasions in Bangkok and Yangon. 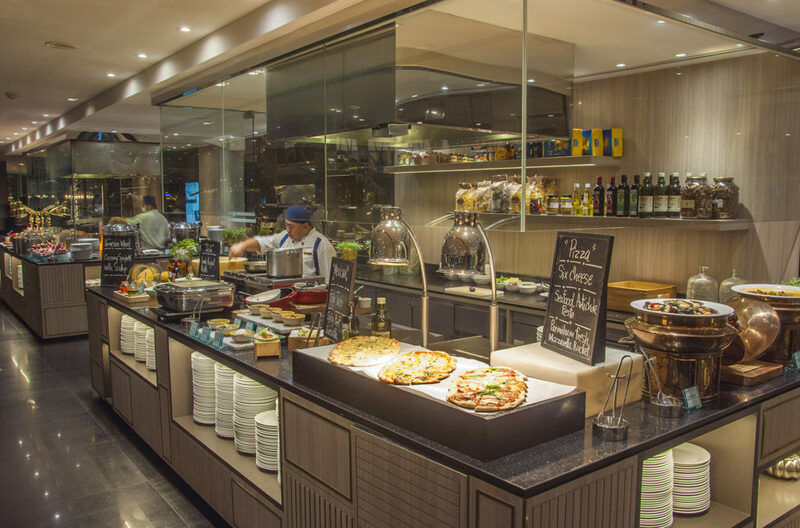 Our experienced chefs and team have specially created a selection of anticipated for our guests. For lovers everywhere Silver Waves’ Valentine’s Day Menu is the perfect opportunity to share a romantic rendezvous or two with a seductive 5-course meal featuring chilled Boston lobster with fresh mango and fresh tropical fruits, double-boiled abalone and conpoy Valentine’s soup, pan-fried Australian veal spare ribs with sesame oil, braised scallops in superior soup with egg noodles and a chilled mango pudding with fresh strawberries as the sweetest ending on Wednesday, 14th February 2018 priced at THB 3,800 net per couple including a glass of sparkling wine and a red rose. At our Valentine’s Dinner Buffet the art of romance and the art of creative cuisine will be perfectly combined courtesy of Executive Chef Spencer Kells and his talented team who’ll be dishing up a selection of the dreamiest international and local fare in the capital just made for sharing on Wednesday, 14th February 2018 priced at THB 1,790 net per person including a glass of sparkling wine and a red rose. May love come your way this Valentine’s Day. 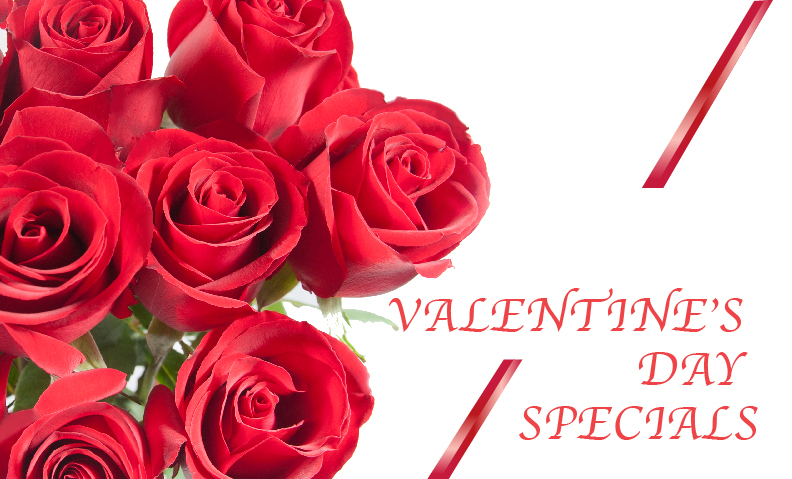 Enjoy our classic Valentine’s specials to prove to your loved one how much you really care and get a chance to win in our very lucky draw at the Sunset Terrace on Wednesday 14th February 2018. 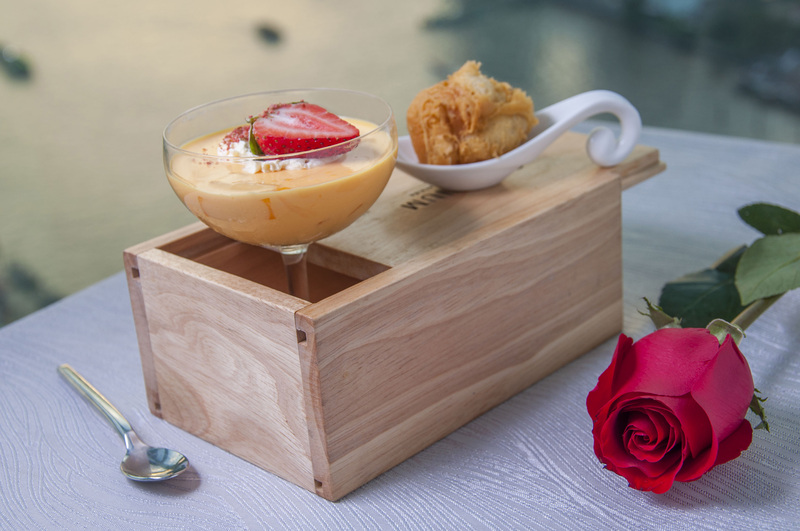 Hold your loved one’s hand and make a wonderful night with a “Romance under the Stars” Valentine’s Set Dinner at USD 199.00 per couple and get the chance to win an exciting lucky draw prize from Chatrium Hotel Royal Lake Yangon. Enjoy one night’s stay at Chatrium Hotel Royal Lake Yangon with complimentary buffet dinner at The Emporia Restaurant, High Tea set for couples and Special Valentine’s Cake available at the Lobby Lounge. The Chinese New Year is fast approaching so why not make it a truly auspicious one for your family and friends with our Chinese New Year menu items high above the Chao Phraya’s riverside with two sumptuous set menus just for the occasion with Set Menu A at THB 15,000 net featuring creative Cantonese classics; while Set Menu B at THB 17,000 net offers our signature Silver Waves-style barbequed suckling pig, deep-fried snow fish with salt and chili and wok-fried crab with XO sauce at Silver Waves Restaurant from 16th – 18th February 2018. Alternatively, try our special menu item “Yee Sang”, a Cantonese-style raw fish salad, mixed with shredded vegetables and a variety of sauces and condiments, among other ingredients. Yee Sang is considered a symbol of abundance, prosperity and vigor. Dine 3 pay two, Dine 6 pay four and Dine 9 pay six. “Tree of Fortune” from Friday 16th February – Friday 12th March 2018 at Tiger Hills Restaurant. 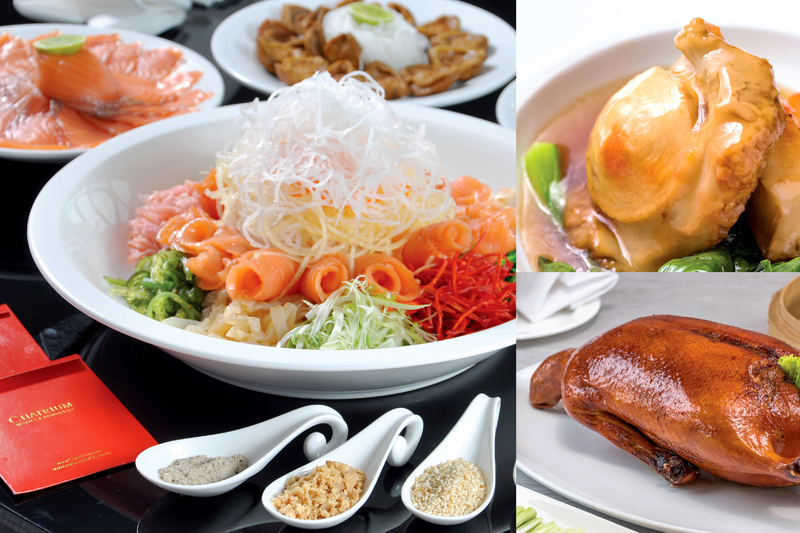 What would be better than pampering your taste buds with Yee Sang Special (Chinese New Year Salad) at only USD 40.00 per portion and 9-Course Prosperity Chinese Set Menu at only USD 40.00 per person (Minimum order 6 persons). Special add-on delicacies are also available. This February, Chatrium Hotels & Residences are the place to be for families and couples alike. 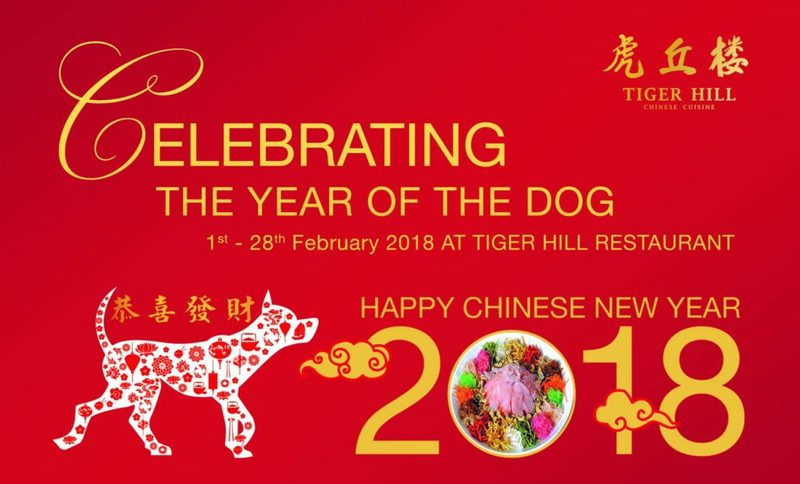 Come on down for Chinese New Year and Valentine’s Day celebrations with your loved ones and enjoy a joyous and prosperous year of the dog ahead!